When faced with a challenge for which there is no foreseeable resolve, I transform myself into a front-row student of the Solution. I can’t help it. I have spent much of the summer reading reading READING my way through a file box full of titles– topics ranging from cutting-edge therapies, to specialized nutrition programs, and yes, the war cries of those who believe vaccinations are the root cause of both autism and Al Qaida terrorism. Yet, much like the bear cub that recently wandered into a suburban Sears department store, I have found myself roaming through volumes of doctoral theories in feeble attempts to understand this thing called ASD (Autism Spectrum Disorder). Then, before I can help it, my amateur brain has trespassed on the property of experts who are way smarter than myself. Suddenly, I am barreling through aisles of fancy medical terms and brain foods and testimonials and toaster ovens and women’s lingerie until someone comes along and shoots me with a tranquilizer dart! Today, I explored some Etsy therapy to avoid Certain Brain Implosion. It was a fast-acting reminder that pretty things make me happy, and BONUS when I stumbled on a pretty thing inspired by the late Apple Genius, Steve Jobs. 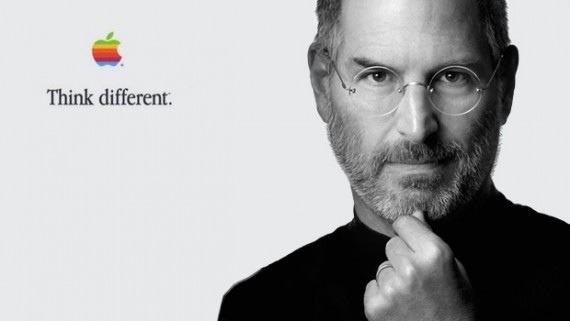 In all of my mental-department-store-obliteration reading, I knocked over some interesting articles that discuss whether or not Steve Jobs was autistic. The Aspergians says he was (kettle? ), and the more reputable blogs devoid of annoying pop-up ads say he wasn’t (although he was known to obsess over things like how many screws were in a lap top case). Perhaps this is not enough to label him ASD, but it is a cozy thought to consider that he saw the world different from the other 97% of human thinkers… not unlike my three-year-old. I have read so many words in recent weeks that it is no wonder if I develop blurry vision because of it. And yet, in all of my reading, only two have helped to make it more clear.